We always try and make it easier for people to sign up and join in. After much discussion, we all thought it would be better to send out some information material to our members and future members about what the Irish Export Cooperative is doing for SMME’s up and down the country. 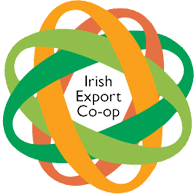 With a lot of help from a lot of people, we are happy to show the first in what we hope will be more videos about the Irish Export Coop. Ou members are drawn from all over the Republic of Ireland. 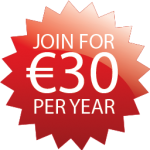 For €30 a year, you could also be a member provided you are an SMME and your shipping is mostly under 25kg outside of Ireland. Sign up today at exportcoop.ie/sign-up and start benefitting from greatly reduced costs on shipping. Please feel free to retweet, share and highlight our work today if you or someone you know could benefit from substantial reductions on the cost of exports!